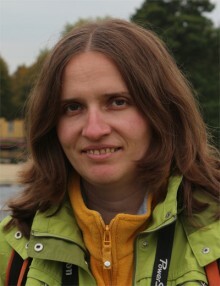 Dr Kalina Zahova has been an Assistant Professor at the Institute for Literature, Bulgarian Academy of Sciences (since 2012). She holds an MA in Bulgarian Philology from the St. Kliment Ohridski University of Sofia (2001) and a PhD in Literary Theory (2008) with a thesis on the topic of Song as Synthetic Art. Functioning of the Song Text in Contemporary Culture. She has specialised in Vienna (2005/2006), Bratislava (2009), and again Vienna (2010/2011), and has lectured at the St. Kliment Ohridski University of Sofia (2005-2010), the Paisii Hilendarski University of Plovdiv (2008/2009), the Bulgarian Cultural Institute in Bratislava (2009), the Adam Mickiewicz University in Poznan (2011-2014). Her academic interests are in the areas of interdisciplinary approaches to contemporary culture, intertextual and intercultural interaction, popular music studies. In charge of the Translators' Studio and member of the English language team.